The key to hosting your own (AND AMAZING) free writer’s retreat is to customize it to meet your needs. 1. Expect to have your meals and snacks provided? If yes, (that’s what I would expect) here’s what I do: The week or so before I schedule my stay-home retreat, I make dinner each night as usual. Except I do one thing different. I double the recipe. Yup. If I’m making a quiche, I make 2 instead. If I’m making mashed potatoes, I double the number of potatoes in the pot. If I’m cooking a simple pot of soup, I make 2 pots instead. And then I freeze whatever we don’t eat. This not only provides instant frozen dinners for me during my writing retreat, it also provides dinner for my hubby, too! Often I freeze portions in plastic containers in single servings and sometimes I put several items on a paper plate and freeze it that way. It practically takes no extra time to double a recipe and it gives me so much more time to enjoy my writer’s retreat! So if you’re the chief cook and bottle washer in your household, the next couple of meals you cook, just double them, and freeze them for the best frozen dinners ever! All your family has to do is heat ’em up and serve while you’re working away on your writing project. 2. Have hours of uninterrupted time to write? If yes, then do whatever it takes to make sure you get hours of uninterrupted time to write at your stay-home retreat. If you left for three days, would you make arrangements for your neighbor to walk your dog? If you left for three days would you ask your in-laws to pick the kids up from school for the afternoon? If you left for three days, would you take 3 days off from work? Then do the same for your very own free writer’s retreat that you’re taking at home. You can do it! If yes, be sure to schedule in breaks during your very own personal writer’s retreat. Just be sure that you “IMAGINE” that you’re still away on an expensive retreat and not dawdle your break away and lose your focus. 4. Want brainstorming sessions (either by yourself or with other writers)? If yes, be sure to schedule in brainstorming sessions along with uninterrupted writing time. If you want to brainstorm with other writers, skype or facetime works wonders! 5. Want group time for feedback on your manuscript’s progress? If yes, invite some cyber writer friends to skype or facetime at specific times during your retreat to discuss your work you’ve been accomplishing. Most writing buddies are thrilled to get some shared critique time. 6. Turn your cell phone off for long periods of time? If you would turn off your cell phone during teaching sessions or critique sessions or writing sessions at a retreat you paid $3000 to attend, then go ahead and turn it off for your very own stay-home retreat. 7. Spend some of your time on social media? If you would minimize social media during an expensive retreat, minimize it during your own personal retreat, too. Just imagine what you would do at an expensive writer’s retreat and do the same at home. 8. Want any other type of activity or perk included in your retreat package? Be sure to schedule this into your day! For example, if you want to listen to a best-selling author or top editor at an expensive writing retreat, search online for free webinars and schedule some watching time into your own personal retreat. The bottom line is, give some thought on what you would expect your day(s) to look like if you paid the big bucks and went away. Then work it into your own schedule and make it happen…all for free…and all in the comfort of your very own home! It will be AMAZING! This week to celebrate the launch of my brand new book, I’m hosted at the super fun blog, NineteenTeen: Being a Teen in the Nineteenth Century. I love the focus of this blog. Plus, 19Teen asked me some super interesting questions about my journey with all-things-Jane. Come join in the excitement and hop on over to read the interview. CLICK HERE to visit NineteenTeen. And to make it even more fun, I’m inviting you to post a comment on NineteenTeen’s blog. Go ahead and ask me any question about what went into writing this book, Jane Austen for Kids. Anything! This is your chance to get your curiosity satisfied! I’ll post my answer to your questions as a reply. As children’s writers, we have imaginary worlds at our fingertips. For the imaginary characters we create, we develop where they go and when. Why not use these skills for creative imagination and PRETEND we’re going on a $3000 writer’s retreat…yet host our writer’s retreat in our very own home and not break our bank account?!!!! We’ll talk about some of your potential answers to these questions in an upcoming post, so stay tuned! As some of you know, this past Christmas, my husband and I moved. As you may guess, our life turned upside-down for awhile. Especially since this move was unexpected, (a house unexpectedly went for sale close to our grandkids), my life felt unorganized for several months as we were living out of boxes and didn’t have phone or internet (we still don’t have internet yet but are learning to manage with a personal hotspot!). Needless to say, my writing schedule took a trip to the South Pole and looked in danger of never returning. I had writing commitments for which I couldn’t even find my important papers or boxes of key research notes. Yikes! Finally, out of desperation, I booked myself for a writer’s retreat. And after several days of being “away,” I finally got my writing priorities back on track. The great thing about this writer’s retreat is that it’s free! I wanted to invite you to go, too. Especially if you have a writing project that just isn’t being attended to lately in your busy life, a writer’s retreat could be just the thing you need. Host your very own personal writer’s retreat in your very own home! If you signed up to go to an expensive writer’s retreat such as Highlights, you’d mark it on your calendar, tell all your friends and family, get the days off work, hire a babysitter, and disappear for several days while you gloriously bask in all things writing. So for starters, choose the dates for your very own personal writer’s retreat. Clear your calendar of any commitments and reschedule appointments if necessary. Make all the arrangements as if you were actually traveling to attend a writer’s retreat. Treat your very own personal writer’s retreat as if it’s the most expensive retreat in the world. In upcoming posts, I’ll give you some tips on how to make your very own personal writer’s retreat AMAZING! Lisa Amstutz is the author of more than 100 children’s books, including Applesauce Day (2017) and Finding a Dove for Gramps (2018). Lisa specializes in topics related to science and sustainability. Her work has also appeared in a wide variety of magazines and newspapers. Lisa serves as a volunteer judge at Rate Your Story and as assistant regional advisor for SCBWI: Northern Ohio. Her background includes a B.A. in Biology and an M.S. in Ecology/Environmental Science. When she’s not writing, you may find Lisa hiking in the woods or enjoying a cup of tea and a good book. She lives with her family on a small-scale farm, in Ohio. Lisa is represented by Victoria Selvaggio of Storm Literary Agency. A boy and his mom continue the family tradition of participating in the annual bird count. Since Gramps went South for the winter, the boy hopes to spot Gramps’s favorite bird for him…a dove! But with so many different birds in the nature preserve, will he be able to spot one? This heart-warming family story about nature celebrates a holiday census that was first started in 1900 and happens every year. As a fun surprise, we have a guest post by Lisa today on one of the strategies she uses to land so many book contracts. Thanks, Lisa, for sharing with us an inside peek on your successful career as a children’s writer! While some types of books need to be submitted as full manuscripts…picture books and novels, for example…many nonfiction books can be sold as a proposal. Magazines often request proposals for nonfiction articles as well. This model can be an advantage for editors, as they can help to shape the piece before you write it. And of course it’s a boon for the writer, as it takes much less time to write a proposal than a whole manuscript. However, writing a good proposal does take time. Most publishers want a cover letter, bio, list of comparable titles, and a synopsis or outline along with several sample chapters. Some add other requirements to this list. After writing several proposals only to be told that they were too similar to an existing book, I decided to try taking Nancy’s advice: taking a step back and pitching some ideas first to gauge an editor’s interest, especially when targeting an existing series. That way, if they already have something in the pipeline or simply aren’t interested, you haven’t wasted a lot of time writing a proposal. I started by studying Chicago Review Press’s online catalog. I came up with several topics that could fit into one of their existing series, then I emailed the series editor to see if she’d have interest in seeing a proposal for any of them. After a phone chat, I wrote up a proposal for the one she seemed most interested in, and ended up getting a contract for Amazing Amphibians, which will be published in 2019. When I found myself rooming with Nancy at a retreat last spring, I got to thank her for her advice in person. This is definitely a technique I’ll be trying again in the future! Thanks again for sharing, Lisa! It was so exciting to meet you AND be your roomie at the retreat. Best wishes with your writing! Would you like another chance to win a free copy of my newest book, JANE AUSTEN FOR KIDS? The wonderful site, Jane Austen’s World, is hosting a giveaway for two lucky winners. CLICK HERE to visit Jane Austen’s World. Be sure to hop on over and post a comment to get your name in the hat. And as an extra special bonus, you’ll get to share in my experience as I visited Jane’s final resting place on the 200th year anniversary of her death. It was an unforgettable day, and one that I want to share with all of you. WHERE DID YOU GET ALL THESE AMAZING IMAGES?!!! Basically, there are 3 kinds of images in my book. #1. I paid for about 20 key and very important images I couldn’t find anywhere else but I felt were a MUST for a biography on Jane. #2. I traveled to England and took lots and lots (and LOTS) of photographs at historic sites, getting written permission to publish these photographs for free. #3. I found a lot of free images to use that were copyright-free or simply needed a letter of permission to publish. The good news is that there are actually lots of places you can go to today to find free images to use in your book project. My writing friend and fellow Nonfiction Ninja, Stephanie Bearce, recently wrote a very helpful informational post on how you can find these! CLICK HERE to read this week’s Nonfiction Ninja blog post. One of the unexpected joys I experienced while writing my newest book, Jane Austen for Kids, was to be able to travel to England and walk in the footsteps of our beloved Jane. One of the most memorable days I spent was when our JASNA (Jane Austen Society of North America) tour bus took us to visit Chawton Cottage, the home Jane lived in as an adult, St. Nicholas, the church she attended with her family while living there, and Chawton House, the mansion she walked to frequently to visit her wealthy brother and favorite niece, Fanny Knight. Would you like to see photographs I took as I walked the Jane Austen trail that day? Then hop on over to the delightful and informative blog that’s hosted by Vermont’s chapter of JASNA. CLICK HERE to visit the wonderful site, Jane Austen in Vermont. I was born and brought up in France and moved as an adult to the USA with my husband and our first child, only a baby. As I searched for a way to improve my limited English I took a writing class through the Institute of Children’s Literature. I was hooked and soon was writing fiction, mostly short stories. Some appeared in children’s magazines and placed in contests. I love Picture Books as much as I love YA and MG . Last January one of my PB manuscripts captured an agent’s interest. Since February 2019 I have been represented by Laurel Sydmonds from the Bent Agency. Q: Tell me about your latest book. A: All the Mountains We Can Climb is a YA novel set in the California foothills near Yosemite National Park. Noelle survived the car crash that killed her father and sister. Since then, she hasn’t told anyone what happened in the car seconds before the accident. Although she feels terribly guilty she’s too ashamed to talk to her mother and two best friends. A year later, as guilty and ashamed, Noelle still adheres to her mother’s rules, established after the tragedy. Until she secretly applies to an East Coast college that she toured with her father and breaks her promise to study in California. Charismatic Quentin witnessed one of the Paris’s terror attacks. Not without consequences. Quiet Manu cooks like a chef and reads Noelle so well, perhaps because he knows something about grief and guilt too. Noelle’s last summer before college seems to be her chance to move on. Will she take it? A: Sadly, car accidents planted the seeds for the novel. This road was unfortunately as spectacular as it was deathly. We spotted too many crosses, flowers and wreaths, makeshift memorials in honor of a loved one. It saddened me that so many people could die in such beautiful surroundings. Even sadder was the fact that many were young men and women, too often teenagers. This heartbreaking reality planted the early seeds for All the Mountains We Can Climb. In addition, since I love Yosemite National Park I had always wanted to showcase a tiny area of the park and the foothills that stretch at its foot in one of my stories. Although the town where Noelle lives is entirely fictional it is based on several towns I know well. I also make Noelle climb to the top of Half Dome under the moonlight, something I’ve also done. Q: How similar/different is it to your other books? A: All the Mountains We Can Climb is my second YA novel. Unlike Trapped in Paris that was fast paced and plot-driven All the Mountains We Can Climb is character-driven and quieter, more similar to my Middle Grade historical novel Chronicles From Château Moines, which has also a large set of characters, family and friends. Through my writing I like to show my affection for my native and adoptive countries. This is why readers will always find a mix of French and American characters and French cultural elements in my novels. Q: Do you have a website or a blog? A: I have both and blog from my website, most often in English but sometimes in French, too, about writing, books, and also about my life spent between two cultures and languages. A: My books are available on Amazon. Signed copies of my recent novel All the Mountains We Can Climb can be ordered from my website and a free e-book available early 2019 will be sent to anyone who purchased from my website. CLICK HERE to order your signed copy. Thank you so much, Nancy for inviting me on your website. It’s an honor to be featured among great authors. I took a class to watch a demonstration of this old fashioned printing press to see the process of how books were published in days gone by. My newest book, JANE AUSTEN FOR KIDS, is hot of the press!!!! Would you like the chance to win a free copy? Then hop on over to a fun blog and post a comment to get your name in the hat. 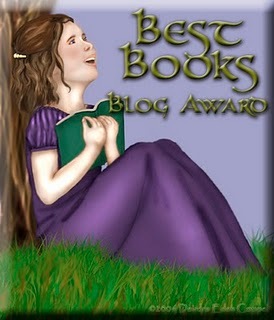 CLICK HERE to visit the amazing site, AUSTENESQUE REVIEWS, that is featuring my book today as a spotlight and giveaway. The giveaway lasts from today through March 18. And thanks to Meredith, the host at Austenesque Reviews, for keeping us Janeites updated on all the great literature that’s inspired by our beloved Jane. How did I manage all this research so I didn’t get caught under an avalanche of information? Among other things, I discovered these two simple things that helped me organize my research-related e-mails. Why e-mails, of all things, you may ask? Here’s a true story to remember as you’re conducting your own research. Were there oak trees in ancient Ireland in the days of St. Patrick? How did I solve that question? For starters, it was tricky. Online research (my first go-to resource) was conflicting. Some said yes, some said no. After about 20 minutes of looking around on the internet and getting different answers in different places, I simply googled tree experts in Ireland, found a name of a guy who specialized in the history of trees in Ireland, and e-mailed him the question. In about another 20 minutes, I had my answer, (Yes! There were oak trees in ancient Ireland) which I sent off to the publisher, along with the expert’s contact info. Needless to say, I got the job to help write the book series. Among other reasons, the publisher shared that the other writers only came back with conflicting online research and said I was the only one who contacted an expert. I contact experts all the time. Historical sites. Museums. Specialists in the topic I’m writing about. People to vet my manuscripts (make sure everything I state is correct and accurate). I even ended up e-mailing the gal who taught the turban class to answer a question I had. And I keep all these e-mails in one handy dandy place. So what are my two hacks that will help you organize your research e-mails? Add a confidentiality notice in the signature that is automatically tacked to the bottom of each of your e-mails in your separate account you use for research. If you work with editors, chances are you see that most their e-mails contain this confidentiality notice in some form. When you’re working on a project, you don’t want to give away too many details as you keep it under wraps so another writer won’t steal your ideas. Adding this confidentiality notice to your e-mails gives you a little bit of protection. CONFIDENTIALITY NOTICE: This e-mail is intended only for the use of the individual to whom it is addressed. It may contain confidential information. Please do not share this information with anyone. If you don’t know how to set up a signature to appear automatically in your e-mails, just dig around in your preferences or settings until you find the term “signature” and type something in there and then send an e-mail to yourself to test how it looks. Just a word of precautionary tale, however…te he he…watch that auto-correct in your e-mail posts! When I started e-mailing experts about my Jane Austen questions, I started my e-mails with “Hello so-and-so.” To my horror after several e-mails went out, I discovered my auto-correct dropped the “o” from the end of my Hello! Yikes! Now I start each e-mail with “Hi” or “Dear.” And even more recently in correspondence about my Jane Austen book, I ended my e-mail with “Thanks so much.” What did auto-correct do (which I didn’t discover until the person e-mailed me back and I saw the email of mine that they received)? It changed “Thanks so much” to “Thanks smooch.” Sigh. Lol. You just gotta laugh at technology. But that’s it for the 2 hacks you simply can’t live without if you’re serious about writing and about research! Not too hard, but really helps for any writing project, fiction or nonfiction. And now that my book, JANE AUSTEN FOR KIDS, is finally out, I’m going to open up that e-mail and contact all the experts I worked with to let them know the book is out and thank them once again for their help. It will be easy because all those e-mails are in one handy spot. And some fun news is that I’ll be embarking on a blog tour starting this month to help get the word out about my new book. But as I’m getting those posts ready, I thought it would be fun to share with you some news from several of my online writing friends. Stay tuned for some exciting author interviews coming up here on my blog! Just for fun I thought I’d stack up most of the research books I used to write my new book, Jane Austen for Kids, to see how tall the stack was. As you can see, the books were just taller than I am!!!! Of course, there’s no way all that research can be packed into a 136 page book for kids. In fact, quite a few large chunks of text and images were removed from my manuscript near the end to reach my word count. Extra research is never a waste. Plus, I plan on writing supplemental material to go with the book that I can sell in my store at Teachers Pay Teachers. And to read an awesome post by my writing group, the Nonfiction Ninjas, on how to reuse research for different purposes, CLICK HERE. After a lo-o-ong break, I’m finally back! What have I been doing in this brand new year? It all started with a move to a different city to be closer to our kids and grandkids. We moved December 28. Then 3 days later we took off on a research trip we’d scheduled a year earlier to visit the Monarch butterflies overwintering sites high up in the mountains of central Mexico…11,000 feet high to be exact. The move was exciting…the trip was once-in-a-lifetime…and now I’m focusing on the release of my brand new book, Jane Austen for Kids before I get back to my research on the Monarch butterfly for another book project I’m working on. However, I did open boxes yesterday that uncovered all my research journals and research books for Jane Austen, so I’m feeling a little more prepared for my upcoming blog tour in March. And last night around 11:00, my husband Jeff and I heard a hoot owl whooooo-whoooo-whoooooing and another answering it right outside our bedroom window! For a country girl living in the Los Angeles suburbs who just moved next to a river and a canyon, this was exciting indeed!!!! Welcome to my world. Welcome to my new year. What exciting adventures are you embarking on since the new year rang in at your corner of the world?